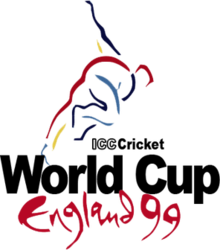 The 1999 Cricket World Cup (officially known as ICC Cricket World Cup '99) was the seventh edition of the Cricket World Cup, organised by the International Cricket Council (ICC). 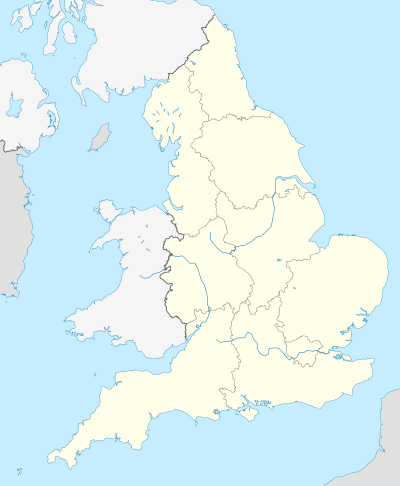 It was hosted primarily by England, with some games being played in Scotland, Ireland, Wales and the Netherlands. The tournament was won by Australia, who beat Pakistan by 8 wickets in the final at Lord's Cricket Ground in London. New Zealand and South Africa were the other semi-finalists. The tournament featured 12 teams, playing a total of 42 matches. In the group stage, the teams were divided into two groups of six; each team played all the others in their group once. The top three teams from each group advanced to the Super Sixes, a new concept for the 1999 World Cup; each team carried forward the points from the games against the other qualifiers from their group and then played each of the qualifiers from the other group (in other words, each qualifier from Group A played each qualifier from Group B). The top four teams in the Super Sixes advanced to the semi-finals. The nine full members contested the World Cup along with three associate members: Kenya, and for the first time, Bangladesh and Scotland who all qualified through the 1997 ICC Trophy. Scotland played two of their Group B matches in their home country becoming the first associate nation to host games in a World Cup. 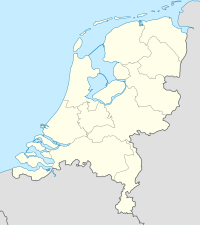 One Group B match was played in Wales and Ireland, while one Group A match was played in the Netherlands. Jimmy Kamande (Ken) made his ODI debut. South Africa qualified for Super Sixes stage. Kenya eliminated. India qualified for Super Sixes stage of tournament. Sri Lanka eliminated. Zimbabwe qualified for Super Sixes stage. England eliminated. Australia needed to score 111 within 47.2 overs to qualify for the Super Six stage of the tournament. Australia qualified for the Super Sixes. Bangladesh eliminated. New Zealand needed to score 122 within 21.2 overs to qualify for Super Sixes stage. New Zealand qualified for Super Sixes. West Indies eliminated. This stage was among the most viewed segments of the tournament, as India and Pakistan were officially at war during their cricket match, the only time this has ever happened in the history of the sport. Points Carried Forward (PCF) only applied to the six teams that progressed from the group stage of the tournament, those points were the number of points scored against their fellow qualifiers from their respective groups. Points carried forward did not change once in the Super Sixes. Rain interrupted play when 36 overs of Zimbabwe's innings had been bowled. No play was possible on reserve day. Saqlain Mushtaq (Pak) became the second bowler to take a hat-trick in a World Cup match. Australia progressed to the final because they finished higher in the super six table than South Africa due to a superior net run rate. A controversial new type of cricket ball, the white ‘Duke’, was introduced for the first time in the 1999 World Cup. Despite claims from makers British Cricket Balls Ltd that the balls behaved identically to the balls used in previous World Cups, they were proven to be harder and to swing significantly more. The host broadcasters for television coverage of the tournament were Sky and BBC Television. In the UK, live games were divided between the broadcasters, with both screening the final live. This was to date BBC Television's last live cricket coverage, with all of England’s home Test series being shown on Channel 4 or Sky from 1999 onwards. ^ "ICC World Cup, 1999, Final". Cricinfo. Archived from the original on 21 April 2007. Retrieved 29 April 2007. ^ "The swinging Duke is not all it seams". The Independent. London. 9 May 1999. ^ "Why white is the thing for swing". The Guardian. London. 14 May 1999. ^ a b ECB Media Release (10 March 1998). "Live coverage of the Cricket World Cup - to be staged in the UK next year". ESPN Cricinfo. Retrieved 25 November 2014. ^ "BSkyB lands England Test coverage". BBC. 15 December 2004. Retrieved 17 May 2014.